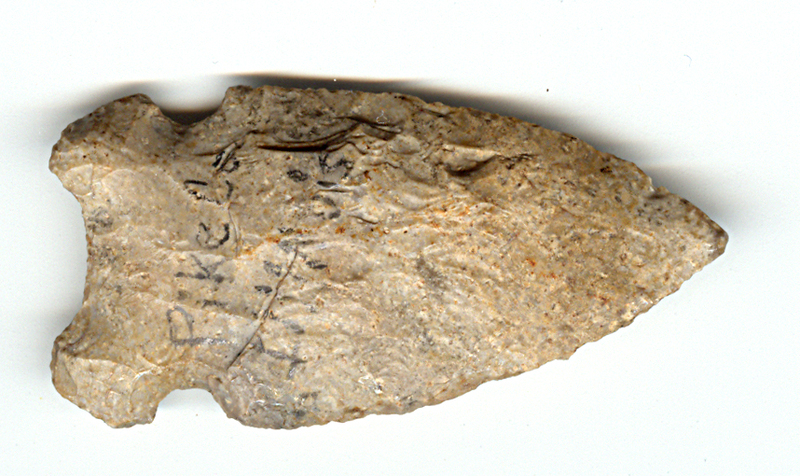 A Small Size, Anciently Used And Heavily Sharpened, Well Made Hemphill Point That Exhibits Surface Sheen & Aged Stone Patination, Correct Notch And Basal Stem Hafting Dulling, Aged Mineral Deposits,Correct Blade Use Sharpening Reduction, Aged Soil Deposits, Polished Hafting Use Wear, Correct Material & Manufacture For The Area Found. Ex-Mitch Lewis And Lonnie Hartline Collections. The Graham Cave, Osceola, Raddatz And Hickory Ridge Points Found In Arkansas Are Similar! Includes A Ken Partain Certificate Of Authenticity!